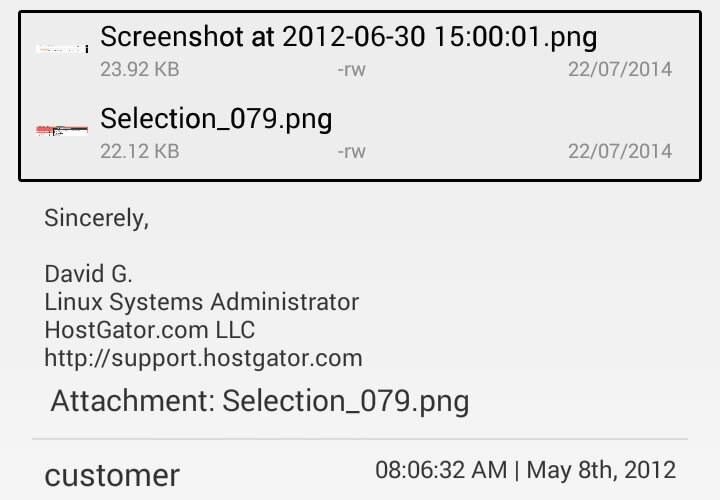 Android application for Hostgator clients. 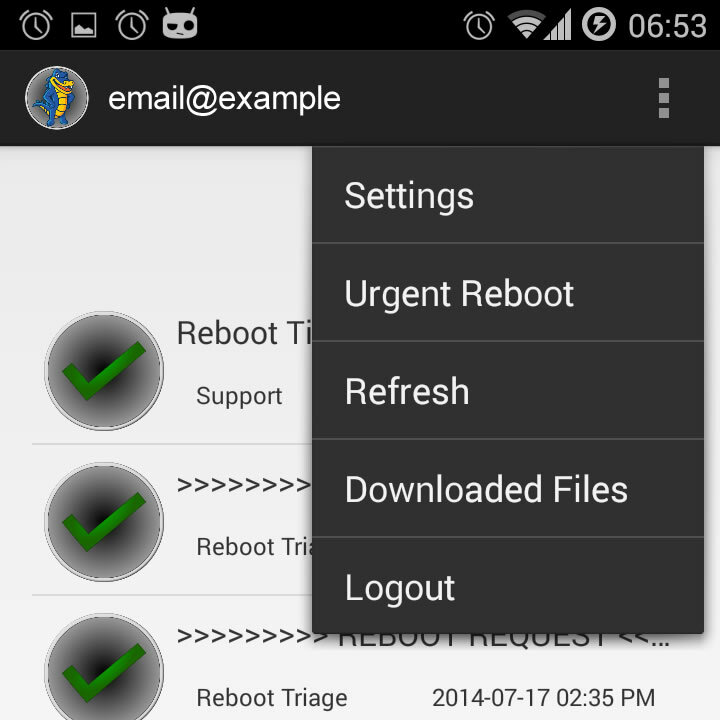 NOTE: This application was suspended from Google Play due to impersonation. Could be because of the Logo or the App Name. 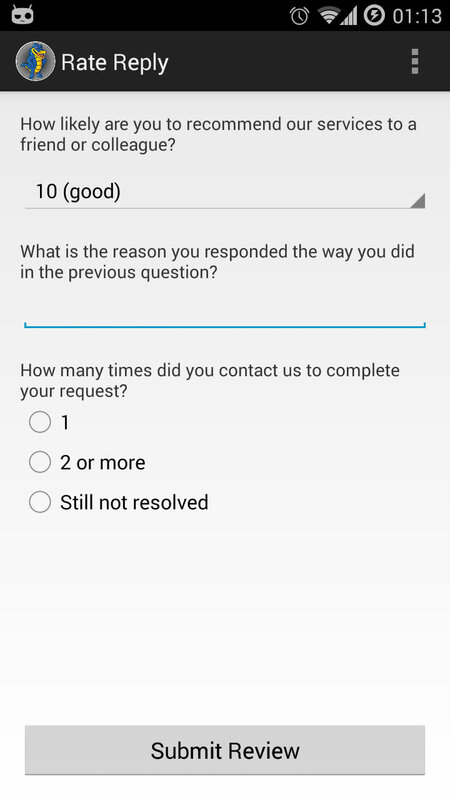 I will not re-publish the application again and I apologize for that. 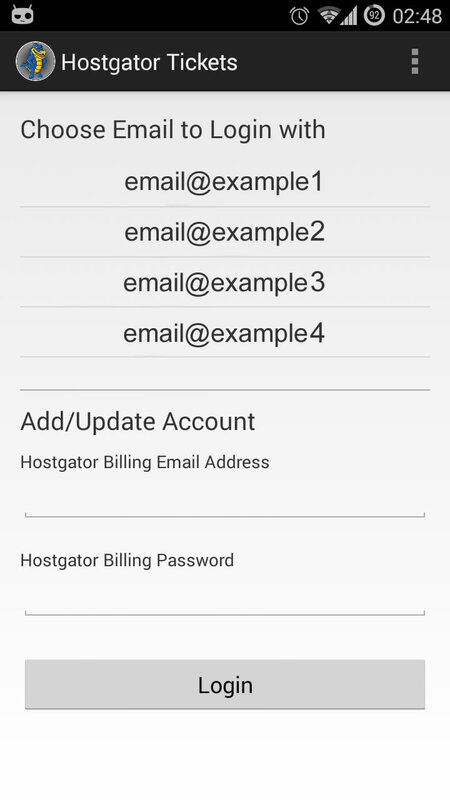 The Hostgator Tickets app is made for Hostgator clients, to facilitate the Ticket System usage on mobile devices. 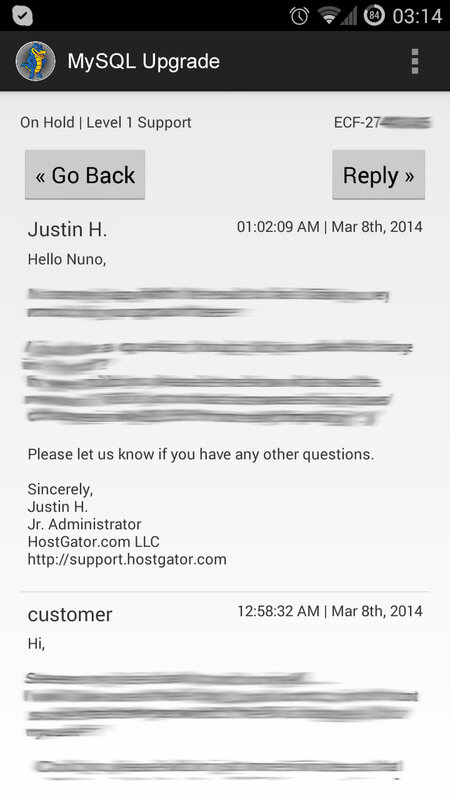 This application is not developed by Hostgator. We, however, protect your privacy and cannot access your private data, such as emails, passwords, servers and ticket information. 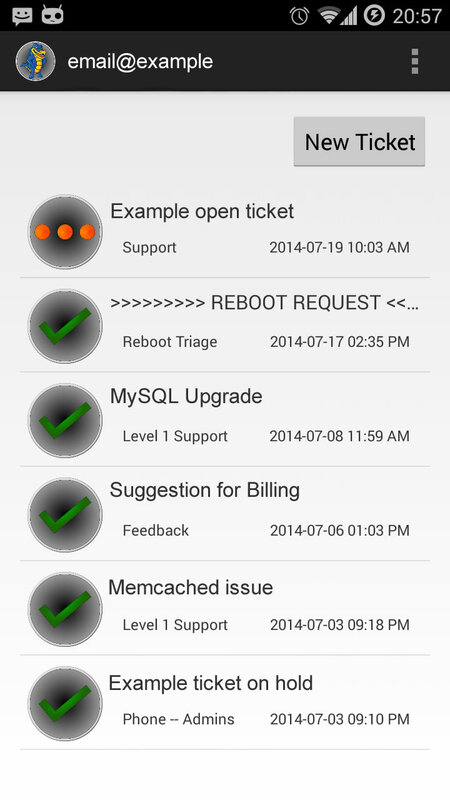 Web requests such as login or retrieving tickets are directly sent to Hostgator. Please be aware that the application may stop functioning properly if Hostgator makes changes on their web applications. 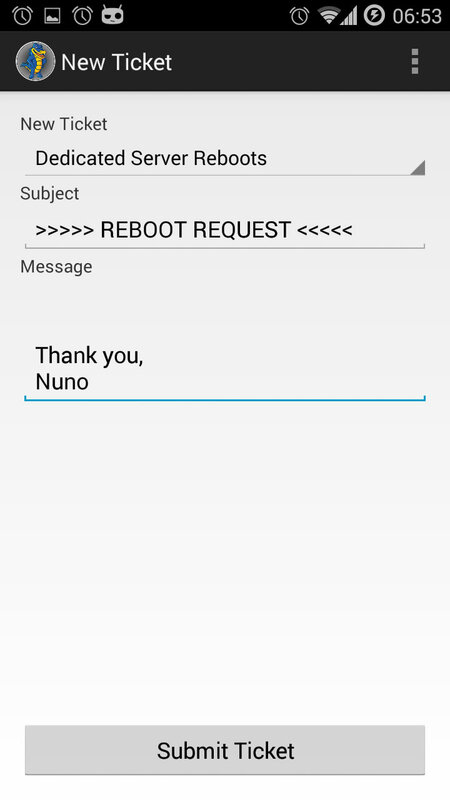 If something is not working on the application, please send us an email to menunoperalta.com and we will be happy to fix it. If you are not a Hostgator client and you need an affordable web hosting with great admin support, create an account on Hostgator.